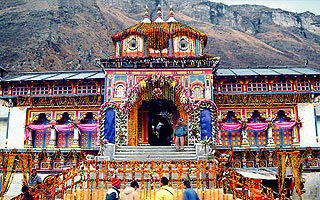 Char Dham Yatra is a religious pilgrimage of Hindu. 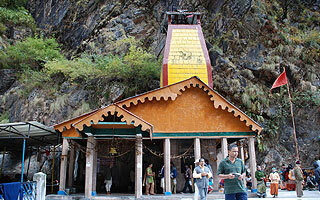 This Yatra is also known as "Chota Char Dham Yatra". The Yatra comprises of visit to - Shri Yamnotri Dham, Shri Gangotri Dham, Shri Kedarnath Dham & Shri Badrinath Dham. 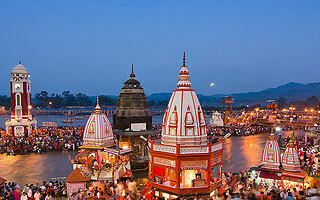 Char Dham Yatra can be started from Delhi and from Haridwar also. 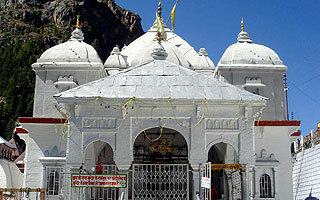 Having deep faith and devotion in hearts million of pilgrims visit Char Dham in Uttarakhand every Year. The Yatra will gives you a chance to gaze into the unmatched natural beauty of green dense forests, a divine auroma in the air, soothing sound of rivers flowing along side of the roads, in simple peace eery where. Char Dham Yatra 2019 is starting from 28th April this year. Along with visit of religious char dham the devotees can also visit alley of flowers, Shri Hemkunt Sahib, Auli and lots of other places that will increase the charm of your yatra. Welcome to Char Dham Yatra 2019!!! Plan our Travel India Pvt. Ltd’s representative will meet and welcome you on your Char Dham Yatra at your pickup point and assist to drive to Haridwar. On your way take a halt to freshen up. After freshen up continue your drive to Haridwar. In Haridwar have darshan of Daksh Prajapati temple, at Kankhal. On arrival check in to the hotel after freshen proceeds for taking a holy dip on the river Ganges. After having bath you can go for Darshan of Maa Mansa Devi Temple. Evening witness the most spectacular event of Maa Ganga Aarti near Har-Ki-Pauri. Overnight stay at hotel in Haridwar. Early breakfast leave for Hanuman Chatti (Drive 32 Kms) to start your journey. From here start your 13 kms trek to Yamnotri one way. After reaching temple have darshan of the main shrine of Maa Yamnotri , Surya Kund Gauri Hund etc. After darshan trek and drive back to Barkot. Morning get up and be ready for drive to Gangotri Temple Via Harshil side by side to Bhagirathi river and Himalaya. Gangotri Dham is dedidcated to Maa Ganga, which is revered as the most pious river and like mother. On arrival taking holy dip in the river Bhagirathi proceeds for the Darshan of the diety at Temple. All the anger, pride, ego and negetie emotions vanishes away as one hae darshan of Maa Ganga. Early morning start for your trek to Shri Kedarnath Ji. Trek is around 14 kms from Gaurikund. On arrival check into the government allotted camps. After disaster hotel options are not available there, hence guest would have to arrange and stay at government camps. Our representative will assist you for this. You need to pay the very nominal charge decided by the government authorities there. 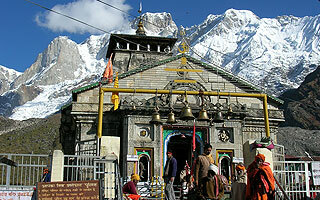 Have your Darshan & Aarti at Shri Kedarnath Temple and places around. Morning after freshen up proceeds for Shri Badrinath Dham via Joshimath. On arrival at Badrinath check into the hotel. After freshen up proceeds for divine Darshan of Shri Badri Vishal Ji. Along with temple darshan explore the other places around. Morning after having bath at Tapta Kund and darshan of Shri Badrinath Ji, start for Rudraprayag/Srinagar. On arrival check into the hotel. Morning after check out visit Triveni Ghaat and Raghunath Temple. After darshan drive back to Delhi with blessings of almighty and all the revered deities of Chaar Dhaam.